“I’m a student at Howest Kortrijk. 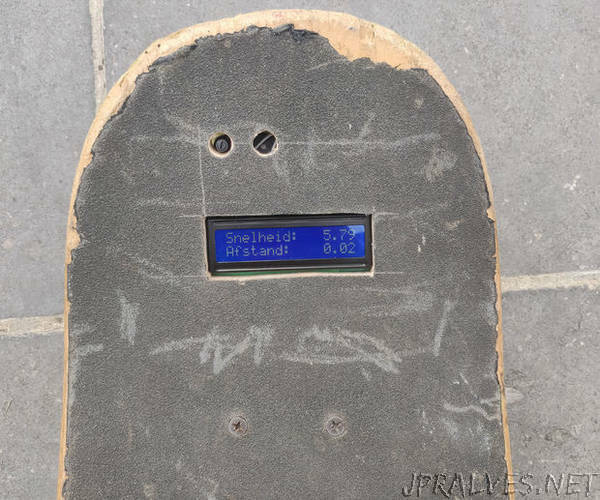 To show our skills to the lectors we needed to build a project, I did chose to create a odometer and speedometer for my skateboard with an RFID scanner. In this instructable I’m goig to say how I did made this project. I came up with this idea because I like to skate and cruise around. While I’m cruising it would be handy to see how much distance I’ve travelled and see my speed.